The GX Eagle version of the DV9 comes with a SRAM GX Eagle 12-speed drivetrain that includes the shifter, rear derailleur, and chain. The cassette provides an ultra-wide 10-50 tooth gear range so you can climb all the tough hills and accelerate on the flats. The Shimano Deore hydraulic disc brakes provide ample stopping power needed for longer descents and technical terrain. Ibis's 938 aluminum wheels are paired with Schwalbe Nobby Nic 2.6" wide tires that are tubeless ready so you can drop the tire pressure for better traction and a smoother ride. 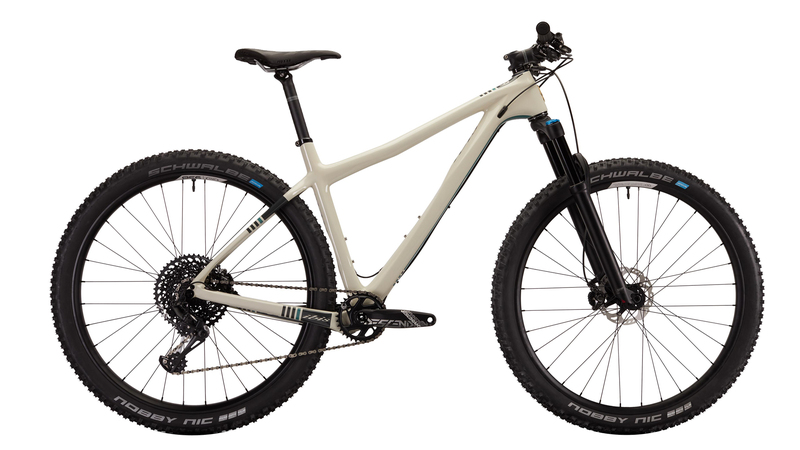 If you're looking for a highly versatile XC bike that won't hold you back, then you'll want to pick up a 2019 Ibis DV9 GX Eagle Bike. 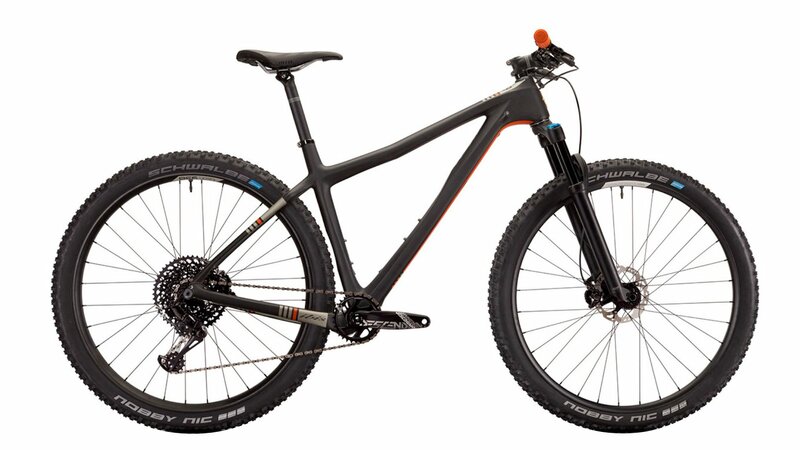 MTBR - "The Ibis DV9 is a split-personality rig that’s billed as being equally comfortable racing full-tilt XC or getting drifty on techy singletrack."